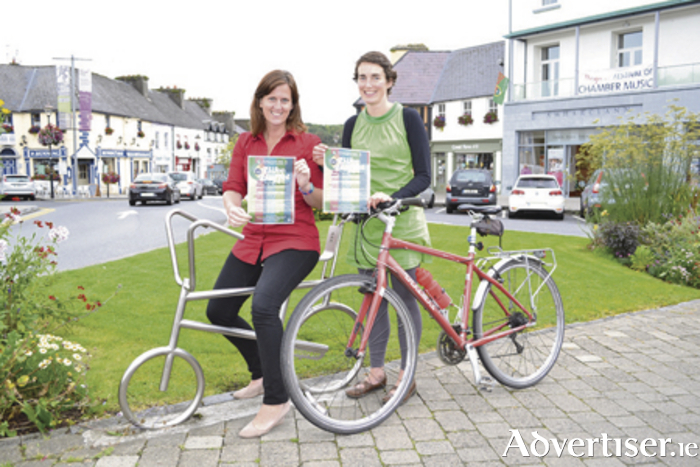 Westport Smarter Travel and Gnó Mhaigh Eo will present a special Bike Buffet for Culture Night, this evening Friday, September 16. The plan is to meet in Westport Town Hall at 6.30pm, where people can enjoy a deoch while catching a sneak peak of the newly written play on the life of Major John MacBride: Foxy Jack – Giolla Éireann. This play, produced by Gnó Mhaigh Eo, will be on stage during the Westport Arts Festival. From the Townhall, the cycling entourage will head towards the Quay to the Custom House Studios to enjoy some of their Culture Night entertainment with savoury treats from The Helm. Next on the route is Gracy’s, on the beautiful grounds of Westport House, where there will be a BBQ and céilí before heading on to the Wyatt Hotel for milseoga, duaiseanna and other surprises. Be ready to léim ar do rothar, be sure to bring a helmet, hi-vis, lights, a hungry belly and your cúpla focal.